Home featured Will the 2018 iPhone X Plus Feature a Triple-Lens Camera? Will the 2018 iPhone X Plus Feature a Triple-Lens Camera? While the iPhone X brought the handset series thoroughly into the future, Apple is likely to give its new design a serious upgrade this year. We are, of course, talking about the so-called iPhone X Plus. There’s no solid indication as to what the device will be called, but based on predictions about a simplified branding strategy for Apple’s flagship handsets, “iPhone X Plus” is about as likely as any other option. From the rumors we’ve seen, it’s a device that’s rumored to sport a massive 6.5-inch OLED display thanks to its use of the iPhone X’s edge-to-edge display design in a larger form factor. In addition to that big display, the device will presumably feature a new A-series chipset and upgraded internals. Additionally, there is the question of the iPhone X Plus’s camera setup. In the past, Apple’s Plus-models devices have traditionally featured better or more advanced camera setups than their smaller-sized stablemates. Enter the triple-lens smartphone, spearheaded by Huawei’s P20 Pro flagship. There are rumors that Apple is developing a premium-tier iPhone with a triple-lens camera setup— but, according to those reports, the earliest we’ll see that device is 2019. 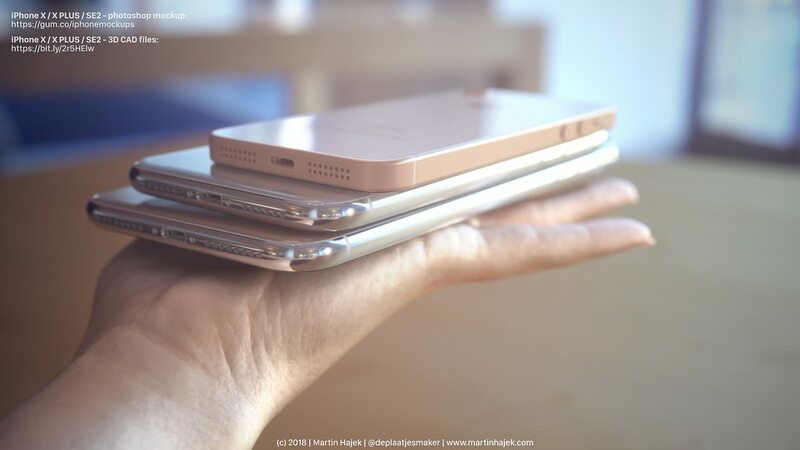 Last month, iDrop News and Martin Hajek put together a set of renders imagining what various iPhones with a triple-lens camera could look like. These renders were picked up by other outlets, who used them to depict this year’s 2018 iPhone X Plus. When, in reality, they’re meant to depict a post-2019 Apple handset. 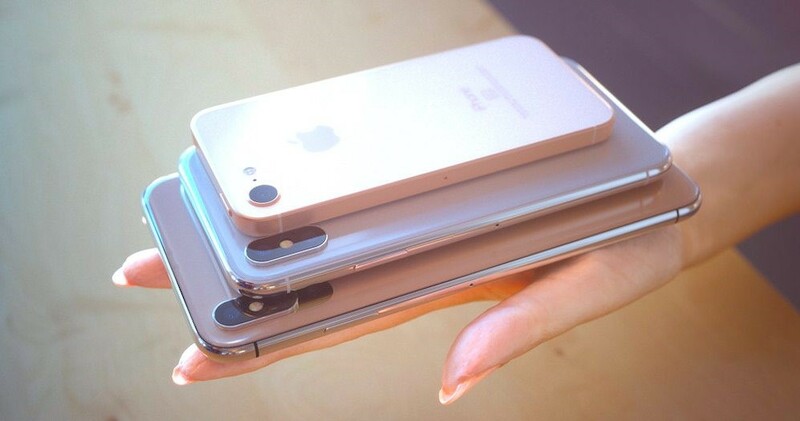 To be clear, we haven’t seen any rumors or supply chain evidence for a triple-lens iPhone being released this year. (At least, not yet.) Based on the way the market is headed, we’ll almost undoubtedly see a triple-lens camera on an iPhone in the next couple of years. Just not this year. On the other hand, it’s pretty likely that the premium iPhone X Plus will feature some seriously upgraded camera specifications. But we’ll have to wait until later in the year to find out what they could be. The iPhone X Plus is, of course, going to be a premium-tier device. While the jury’s still out on its final price point, there are two general options. It could occupy the iPhone X’s current price tier and start at $999, according to some rumors. In this scenario, the direct iPhone X successor would probably see a price drop. Alternatively, the iPhone X Plus could retail for a starting price above $1,000. Based on Apple’s current pricing patterns, this would make sense — but it might not line up with the company’s rumored strategy of releasing devices that are a bit more wallet-friendly. For a more accurate depiction of what the 2018 iPhone X Plus could look like (without the triple-lens camera setup), you can check out our other renders of the device.